Wow. This blog is overdue for an update. I apologize, blog, for leaving you neglected. My other social media outlets have been sustaining my online presence while you were left in the dust. I promise it's for a good reason. I've never been much of a blogger the way other people excel at it. To me it always hovers somewhere weird in between journal and editorial, and I haven't quite found the cozy spot where I want to sit. All the planties at the beginning of summer. I try to make gardening part of my practice when the weather is good because being outside around plants makes me a better human. I love teaching. I love designing patterns too. 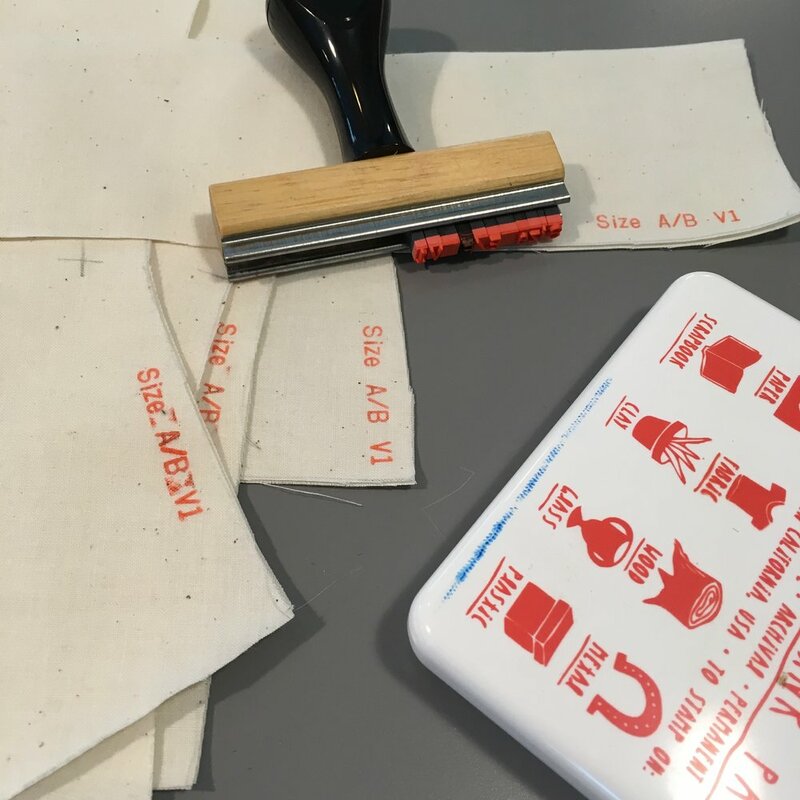 Though, in many ways, I have always wanted the patterns to be a vehicle for teaching and enabling people to sew (from afar rather than in person). I had the realization big time over the summer that I needed rethink the way I was looking at my business. I wanted to devote more of my energy into teaching and developing classes. At times I felt twinges of guilt for scaling back my pattern making goals because I was lagging behind. But I decided: It's better for me and for you if I slow down and really take the time to develop patterns that I love (and hopefully you will too), packed full of cool information and back story. And a major part of the slow down has been allowing myself to focus more on teaching, an area that really inspires a lot of what I put into my patterns. I plan to keep making patterns, but I've come to terms with the fact that I don't need to keep up with fashion seasons and I'm not obligated to produce a certain number of patterns each year just because everyone else does. I prefer to think of each pattern as an artwork, an experience. That was my original intention and I've made my way back to that place after a few years spent growing my business. Having this new outlook feels right for Blueprints and I'm excited to see what I come up with in the space freed up by letting go of what Blueprints 'should be' and instead focusing on what I want it to be. 2. I'm teaching. A lot. Last year I started teaching in the fashion department of a local college. I love it. I've always wanted to teach college and I sort of can't believe I finally made it here. I've been expanding my range to teach classes I am interested in and have experience behind but had never taught before (history of fashion and graphic design to name a few). I've also been trying to develop new classes and workshop ideas with the hopes of traveling outside New England to teach. I'm not a half way in kinda person. I spend a lot of time developing assignments and lectures and activities and workshops. And this takes time. Real talk time: I don't talk about it much publicly, but I struggle with anxiety and what I'm realizing for the first time in my life could probably best be described as adult ADD. I've spent the last year or so really working on how to create a workflow that makes me feel productive and helps me stay focused without feeling disorganized, stressed or depressed. Part of this means I've tried to prioritize creating a better, more manageable workflow for my business (new, streamlined pattern development processes and biweekly newsletter) and holding off on other areas (I'm lookin' at you, blog!) until I have the bandwidth for them. This is as an alternative to trying to juggle a million things, falling behind, not meeting expectations, and then panicking or crashing. Life's too short for that. Some of you may remember a certain pattern inspired by Southern Italian folk houses that was meant to come out in the spring. After running into unexpected issues - on top of struggling to balance a small business / job /personal life - it seemed impossible to have it ready on time. So I pivoted, shifted focus to my fall pattern, and tabled it for next spring/summer. I'll admit that my fall pattern is not quite where I hoped it would be around this time (AKA, done and printed and in shops!) but I'm trying to channel my inner turtle and remember that slow (well, maybe a brisk walking pace) and steady works best for me. However, I put a ton of work into creating an organized system for pattern development and I am already feeling it in action with my fall pattern. When you're playing all the roles (designer, digitizer, grader, illustrator, marketer, graphic designer) having systems helps tremendously in keeping organized. I've started using a system called Asana to keep projects organized. 5. I've become involved in extracurricular activities! 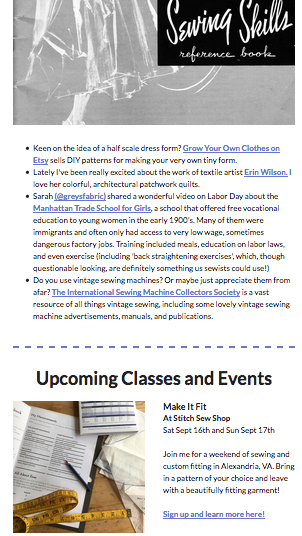 Some of these fall on the self care spectrum: Yoga, Gardening, Cookbook Potluck Club, etc. But I've also become involved in local town groups and issues. I co-chair my local cultural council and organize/participate in regional arts advocacy groups and programs. I've continued to work with the craftivist art collective I've been part of since 2010. How do you juggle multiple jobs/roles? Do you have good systems for yourself that work or have you only figured out what doesn't work? Do you try to make time for non work things?